Elite Offshore Resources Pvt Ltd is an India based offshore health care billing company catering to Business Process Outsourcing (BPO) needs of healthcare Management Services Organizations (MSOs) in the U.S. Since its inception in 2000, ISYS served a number of organizations providing affordable, customized and market driven services and has positioned itself as a prominent growth partner of its clientele. Off late, the U.S. healthcare industry is witnessing an ongoing transformation in the face of significant disruption and is proving to be highly adaptive to emerging trends in the healthcare economy. In today’s hyper competitive environment, healthcare service organizations must combine complimentary expertise to get a handle on to the changing trends. With this broader perspective in mind, ISYS Softech Pvt. Ltd. is rebranding itself as Elite Offshore Resources Pvt. Ltd. Elite’s brand new service approach has heavy emphasis on using robust technologies to secure client data privacy. At Elite you just get what you deserve – THE BEST. 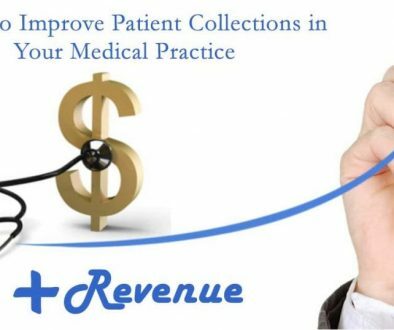 Elite currently handles the RCM (Revenue Cycle Management) solutions and medical billing operations for US Medical Billing companies, MSOs, and Anesthesia management companies. We are currently offering billing services in multiple specialities including orthopedics, neurology, urology, psychiatry, anesthesia and several others, we are adding many newly emerging specialities to our services to offer our clients. Anesthesia billing is one of our specialized services with a collection rates over 98%. Simply put – we take care of all your end to end RCM needs so you can focus on what you do best – providing the finest quality practice management and administrative services to your customers. Elite complies with HIPAA and OIG guidelines. We are an active member of HBMA (Healthcare Billing and Medical Association). We have successfully implemented ICD-10 and have excellent track record of paid claims. We are introducing this new blog to bring you the updates about Elite and latest trends in the US healthcare services industry. Stay tuned.